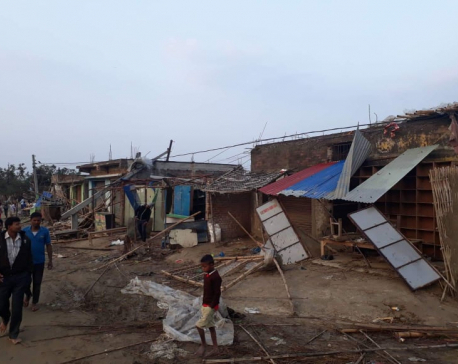 KATHMANDU, April 6: Bara and Parsa districts were hit by a tornado, the first recorded wind-induced disaster of the country, according to the Department of Hydrology and Meteorology. Earlier, myrepublica.com had reported that the disaster was “probably the first wind storm” disaster on of the country. Earlier, the DHM had classified the wind as a gale at 30 knots. “The width of the tornado was around 200-250 meter. 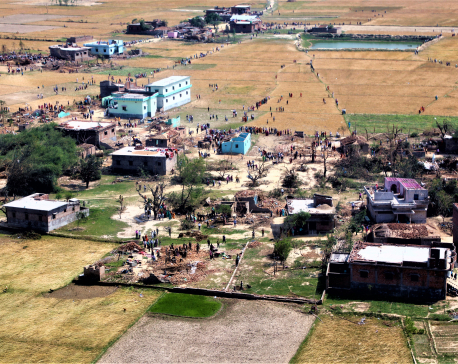 A satellite image shows that the tornado had covered at least 30 kilometres length to wreak havoc in the two districts,” Sarju Kumar Baidhya, Director General at the DHM said. However, the DHM couldn’t “confirm the speed” of the tornado because it passed much further from the record station. 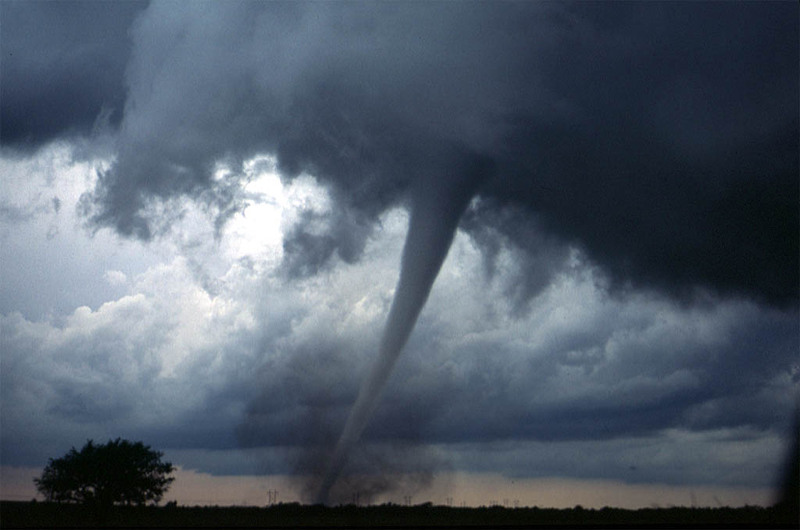 Unlike hurricanes, tornadoes form over land and form a vacuum that throws everything in front of its path. Most tornadoes are <0.8 km wide. Hurricanes are larger and wider. Likewise, the lifetime of a tornado is short – ranging from a few seconds to a few hours. The strongest tornadoes have wind speeds over 483 kph while hurricanes rarely produce wind speeds over 322 kph. In addition, tornadoes usually last no more than an hour and give little time for early warning forecasting. 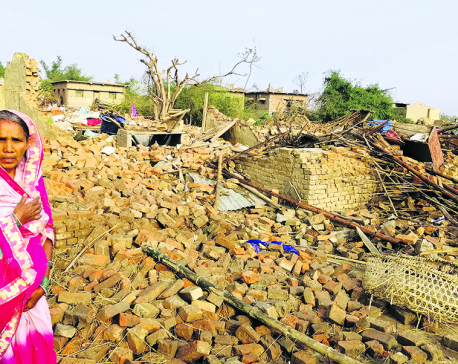 “Early warning is possible between 15 – 30 minutes only,” Baidya said. “Then, Now-cast is just minutes before the storm,” Baidya said. The tornado killed 28 people and injured over 600. Provincial governments, parliamentarians, political leaders, aid agencies and civil societies have provided Rs. 40 million altogether for the victims.